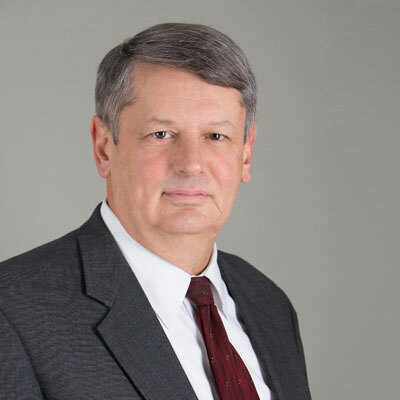 George A. Kelman is a shareholder of the Firm whose practice concentrates in construction litigation, including defective-workmanship claims, design errors and omissions, premises liability, appellate work, product liability, and personal-injury defense. George has represented developers, general contractors, sub-contractors, condominium associations and home owners in construction defect cases involving a wide variety of structures, ranging from single family homes to twenty story high rises. He represents major retail chains concerning all aspects of premises liability. George has represented pharmacists and pharmacies in medical malpractice suits. He served as a Wolcott Fellowship law clerk for the Honorable E. Norman Vessey, Chief Justice of the Delaware Supreme Court for the 1993-1994 Term. He was formerly associated with the law firm of McElroy, Deutsch & Mulvaney, LLP where he remained until 2004. He joined Coughlin Duffy LLP at its inception in March 2004, ultimately serving as Partner. He joined KLRW at its inception in 2016. Obtained a $235,000 settlement on behalf of a single-family home owner whose house had been improperly constructed by a contractor. Obtained a defense verdict on behalf of a subcontractor in a work-site accident case who was alleged to have created the condition that caused catastrophic injury to a construction worker. Obtained a dismissal without payment on behalf of a pharmacy facing claims of wrongful death arising out of an overdose of narcotic pain medication oxycodone. Obtained summary judgment on numerous occasions for a major retailer against claims of dangerous conditions on its premises. Obtained a dismissal without payment on behalf of a retail store facing claims that it created a dangerous condition on its premises causing personal injury. Obtained a dismissal without payment on behalf of a retail store facing claims of products liability arising out of the sale of exercise equipment. Obtained a dismissal without payment on behalf of an exercise equipment manufacturer facing claims of a defective product. Obtained a dismissal without payment on behalf of an auto manufacturer facing Lemon Law and breach of warranty claims.